BCPPS Review and Recertification Course! The BCPPS Review and Recertification Course, offered in conjunction with the 2018 Fall Conference (Hematology/Oncology and Nutrition/GI), will be held on September 14-16. The Review Course is 20 hours. Structured with the adult learner in mind, the Review and Recertification Courses offers 20 hours of programming which covers all domains of the BCPPS Exam. Our Conference will interest clinicians, pharmacy leaders and administrators, pharmacy informatics professionals, and academics. Most importantly, the Fall Conference is designed by pediatric pharmacists for pediatric pharmacists to help prepare them for the Exam. Conference registration incudes one-year access to the Pediatric PharmPrep Advanced Guide, an online interactive home-study program that enhances your studies. Don't Forget! The Conference gives Board Certified Pediatric Pharmacy Specialists (BCPPS) the opportunity to earn 20 BCPPS recertification hours within the Review Course. You must attend each session and take an online post-test in order to receive recertification credit. PPAG will report your credits to BPS. For more information about our BCPPS Recertification Program, click here. Accreditation Council for Pharmacy Education: The Pediatric Pharmacy Advocacy Group is accredited by the Accreditation Council for Pharmacy Education as a provider of continuing pharmacy education. For more information, go to https://www.acpe-accredit.org/. 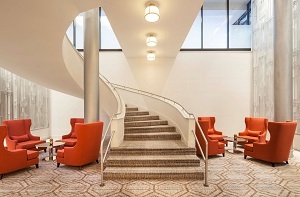 The Sheraton Philadelphia University City has been chosen as the official meeting site for the Fall Conference. Meeting participants are responsible for booking their own room reservations and paying for sleeping room nights. PPAG has negotiated a group rate of $160.00 per night for a single/double room. Major credit cards required to make reservations. To make your reservations, please call the Sheraton at 1-215-387-8000. You must indicate that you are attending the "PPAG 2018 Fall Pediatric Pharmacy Conference" in order to receive the discounted rate.